This hand-lettered, pen-and-ink illustrated sequel to the Moosewood Cookbook features over 200 vegetarian recipes and a bounty of kitchen guidance from one of America's dearest cookbook authors. 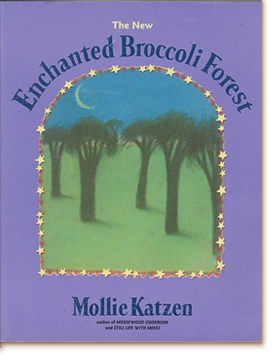 This million-plus-selling, well-loved tome was revised in the mid-1990s to reflect lighter, easier-to-prepare versions of Katzen’s signature recipes, featuring such timeless favorites as CURRIED PEANUT SOUP WITH FRIED BANANAS (favorite of John Cage and Lemony Snicket), INSPIRATION SOUP, CHILLED ASPARAGUS IN DILLED MUSTARD SAUCE, DILL PICKLE POTATOES, GREEN CHILE AND CHEESE CORNBREAD, SQUASH BREAD, GREEK PIZZA, RUSSIAN CARROT PIE WITH NUT CRUST, BROCCOLI AND TOFU IN SPICY PEANUT SAUCE, PERSIAN EGGPLANT, AMARETTO CHEESECAKE, and REAL! GENUINE! CHOCOLATE PUDDING.